Blue and Black or White and Gold, let the mannequin tell you what color the dress is! Boom Media offers multiple proximity marketing technologies to attract customers, create better experiences and grow your business. Attract and engage customers with Beaconstac’s NFC-enabled proximity marketing solution. Instantly tap-and-learn without having to configure a connection. NearBee is a beacon-aware app that lets users discover proximity-based relevant content making it the best Nearby alternative. Nearby Notifications policies were strict and the editorial standards confusing. Messages did not always make it to the lock screen. They had to be raised to a notification dependent on the fact if users found it relevant. NearBee can act as a common app for an entire neighbourhood. A future update of NearBee will also have the app within an app feature allowing NearBee’s in-app colors and content to morph to mimic the business’s unique branding. 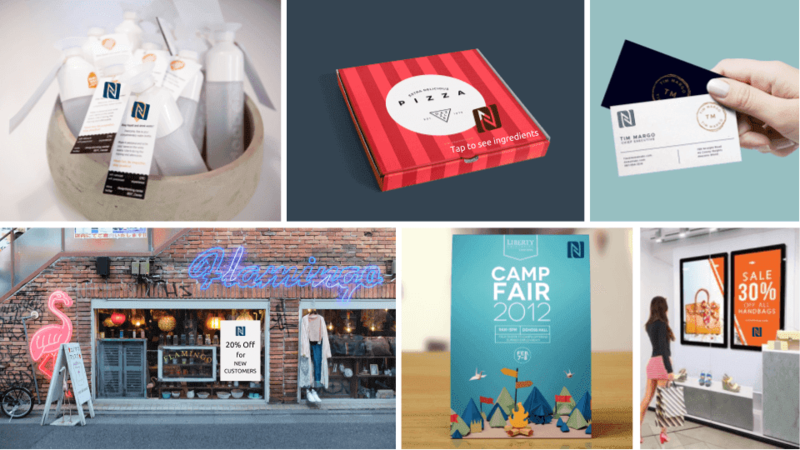 However, the reason businesses and marketers flocked to Nearby was the fact they could potentially reach new customers. Although proximity marketing app without an app is no longer possible, there are still a number of clever hacks that you can use to market to new customers. 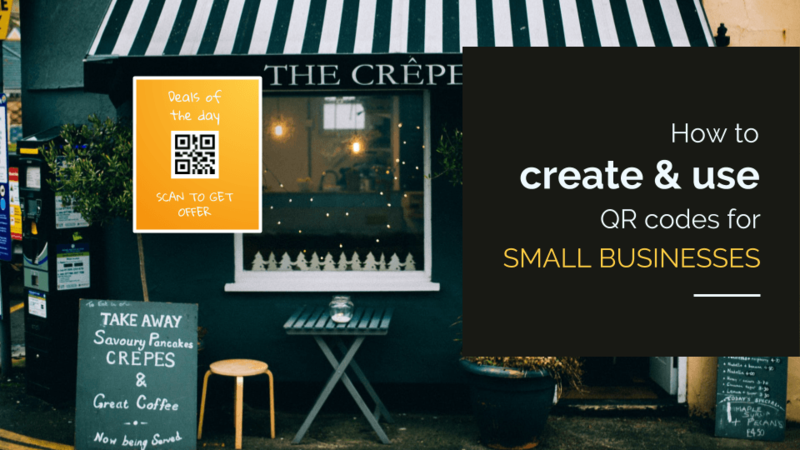 When potential customers scan the QR code, they are taken to the markdown card (a Beaconstac creative that acts as a substitute for a website) and can explore your lucrative offer. Once they land on the markdown card, they can be prompted to download NearBee which will allow you to target them even better in the future. 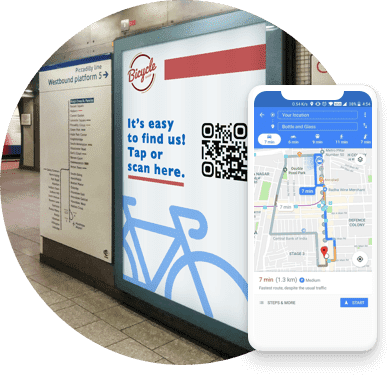 Out of home advertising has always been a significant channel for businesses and marketers to reach out to potential customers. A digital, dynamic billboard that you can fine-tune in real time allows you to reach a mass audience effectively. You can also choose to run an ad asking them to either scan a QR code to see a markdown card or download NearBee. 81% of Americans use coupons on a daily basis. Adding a copy that effectively conveys to customers the benefits, deals and discounts they can unlock is instrumental in getting this large audience to become part of a hyperlocal contextual experience. Proximity marketing is any system that utilizes location technologies to directly communicate with customers via their portable devices. Uses of proximity marketing include distribution of media at concerts, information, gaming and social applications, retail check-ins, payment gateways, and local advertising. Proximity marketing isn’t one single technology, it can actually be implemented utilizing a number of different methods. And it’s not limited to smartphone usage. Modern laptops that are GPS enabled can also be targeted through some proximity technologies. What's the Significance of Internet Usability? Internet or site usability is your step of easiness by which the users may use a web site. Obviously, a site that's tough to use is readily made by its targeted users and visitors. It's obviously critical for each site owner to boost the usability of the sites so it entertains the requirements of its viewers. This may be achieved by conducting internet usability testing with the assistance of a specialist in this subject. However, before that, you have to understand the significance of internet usability. An ordinary online user wants a site to be extremely interactive. If he isn't able to socialize with various segments and goods of this site, it requires just a couple of minutes for him to leave the site. By quantifying the web site usability, you are able to comprehend the amount of interactivity it's with its customers. In case the interaction level isn't up to this mark, you are able to stick to the approaches to fix the same. Internet usability testing enables one to regain his site from some severe mistakes that may otherwise influence its approval among the targeted viewers. Generally, you might not have the ability to recognize errors which are limiting your site by attaining desirable popularity. A site can be turned into highly usable by enhancing its navigation, readability, backgrounds and layout, HTML programming, search programs, and a number of other design aspects. Ensure that you decide on a master in web usability testing with the expertise of recognizing the things which lack and people have to be improved to increase website usability. Will help our clients understand all the different services that we provide and how our services can help our clients get more business thru targeted multimedia.